Be sure come out to CCAC North Campus for the very first Comedy in the Coffeehouse. This part of the Noodlebowl Comedy Show. I will be hosting a crew of great comedians! 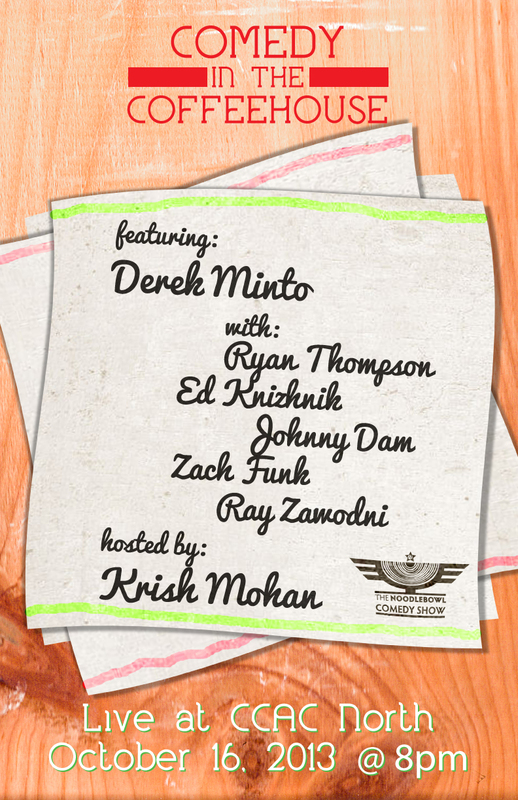 The show features: Ryan Thompson, Johnny Dam, Zach Funk, Ed Knizhnik, Ray Zawodni and is headlined by Derek Minto! Check out this show on Facebook! Don’t miss this show!